I really like making Cinnamon Rolls. Love mixing the dough, rolling it out, watching them rise. I adore the heavenly smell that wafts throughout my house and the sticky gooey-ness of each blissful bite. But, my friends…there ain’t no denying it. Cinnamon Rolls take a chunk of time to make, don’t they. And it’s Christmas is this week, you know. And you might need something FABULOUSLY tasty to make for your family’s Christmas morning breakfast of delight. And you might not want to spend three hours doing it! Don’t hang your head if you are planning on spending three hours on breakfast. Hold your head high if Cinnamon Rolls for Christmas morning are your thing. You go girl. You are the bomb dot com. You deserve a high five, three times over. Or any other morning, evening, afternoon or mid life crisis…. 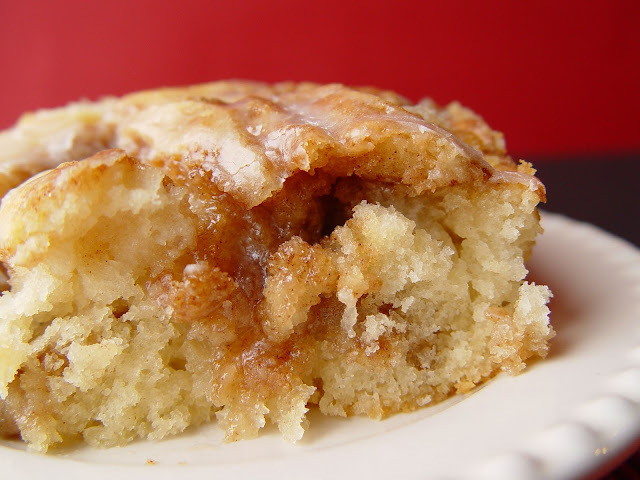 make this Cinnamon Roll cake! Spend the 15 minutes it takes to assemble and then sit back and relax! 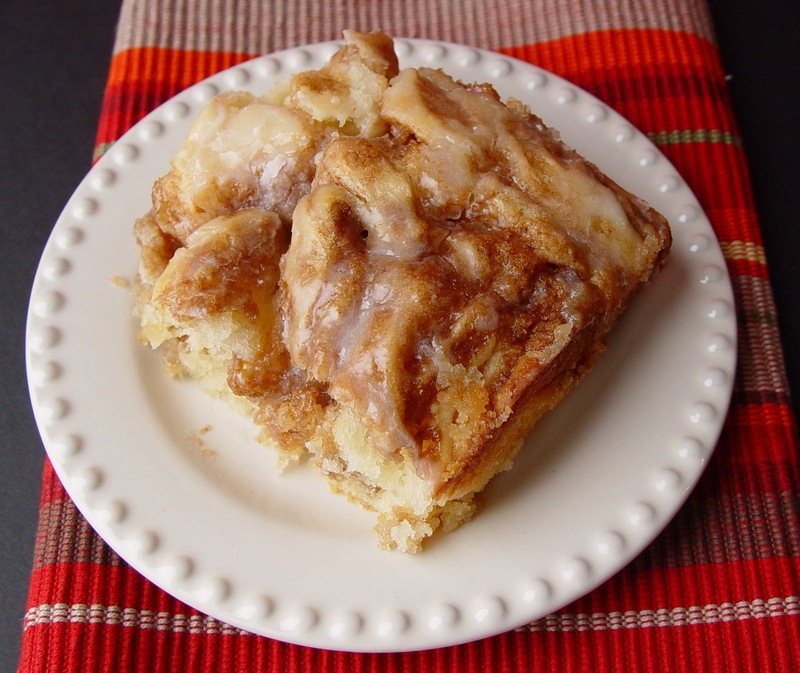 It’s a cinnamon and butter delight, that will melt in your mouth with every bite. You most likely have all the ingredients to make it just sitting in your pantry this very second. Be one with the the cinnamon and butter. and 2 t vanilla. Pour the 1 1/2 C milk over the other ingredients and mix well. 2. While the mixer is still running slowly add the 1/2 C melted butter. Mix just until combined. 3. Spray a 9×13 pan with cooking spray and spread the batter out evenly in the pan. 4. To make the cinnamon filling use a small bowl and a wooden spoon to combine 1 C softened butter, 1 C brown sugar, 2 T flour and 1 T cinnamon. 5. Drop the cinnamon filling by spoonfuls onto the cake batter. 6. Take a butter knife and drag it through both the cinnamon and cake batter layers, making a pretty marble effect. 7. Bake this baby at 350 degrees for 35-40 minutes, or until a knife inserted into the center comes out clean. 8. In a small mixing bowl whisk together 2 C powdered sugar, 5 T milk and 1 t vanilla. Pour the glaze over the warm cinnamon cake. Serve warm, or at room temperature. I love this cake but I have started weight watchers and if I can figure out how to make this without all the butter and sugar it would be great, I will still make it because I too love the smell it puts into my house. I would love to be able to make this healthier. Hello. This cake looks delicious. Just wanted to know if it is unsalted butter or salted butter you use. Thanks so much.